How much I longed to see this film! Huge thanks goes to the director, Jet Leyco, who also agreed to answer a couple of questions about his film. In some ways, I’m still debating with myself whether or not the film can be regarded as Slow Cinema. It’s precisely the limits of the term and the previously held debate around it that leaves me with a feeling of uncertainty. Yet, this film is “slow”. No, it doesn’t fit the usual criteria, but I have argued about the limits several times before and this is why I have decided to put up a comment on the film on this blog. Leave it for tomorrow is not Slow Cinema in its original terms. I’m somewhat inclined to say that the film is a new form of it. Or rather, it broadens the scope of Slow Cinema. Regardless of the validity of the term, though, Jet Leyco has created a powerful and mind-blowing film. A thought-provoking work about memory and suppression of memory. About the way the past comes back haunting you. There is no such thing as successful suppression. One day, memories will resurface; a process that is often slow and takes a long time to complete. Leave it for tomorrow adds to the current output of Filipino independent filmmakers, who use the cinematic medium to comment on or rewrite history. It is a film that adds to the oeuvres of Raya Martin and Lav Diaz, who are known for their aim of tackling the country’s past. It is easy to follow the examples of Martin and Diaz, but Leyco has managed to carve an aesthetic niche for himself, if you will. The themes of those three directors are similar, if not more or less identical in a way, yet they couldn’t be more different in their aesthetics. It’s the first time that I slip into really sloppy language here, but I cannot describe the film better than “a slow mindfuck”. And this is entirely positive, I swear. I haven’t seen such a powerful film for quite some time. Leyco has created strong visual tableaus, switching smoothly between colour, sepia and black-and-white. At times he denies the viewer access to visuals and wants him to listen. He plays with our expectations, for example by disrupting the convenient method of showing the character who speaks. Instead, in a lengthy dialogue between members of a rebel gang, Leyco always cuts away and shows us a listening character. I’m not completely unfamiliar with this. In Leyco’s film, however, it was abrupt, thus making it force- and powerful. I know that quite a bit has been written about the use of sound in the film. This is because Leyco uses Star Wars-esque sound effects in most sequences when characters shoot one another. It has a comic effect, but to me it is also (once more) a game on our expectations. We expect violent fights, we expect pure realism. But Leyco is not giving it to us. He’s holding us hostage. He puts us on a leash, and we have to follow him, wherever he takes us. Also, the special effects can be a comment on how we see the past, especially a violent past: as a movie. This is – unfortunately – how many people learn about historical events; with the help of major blockbuster productions, full of special effects. 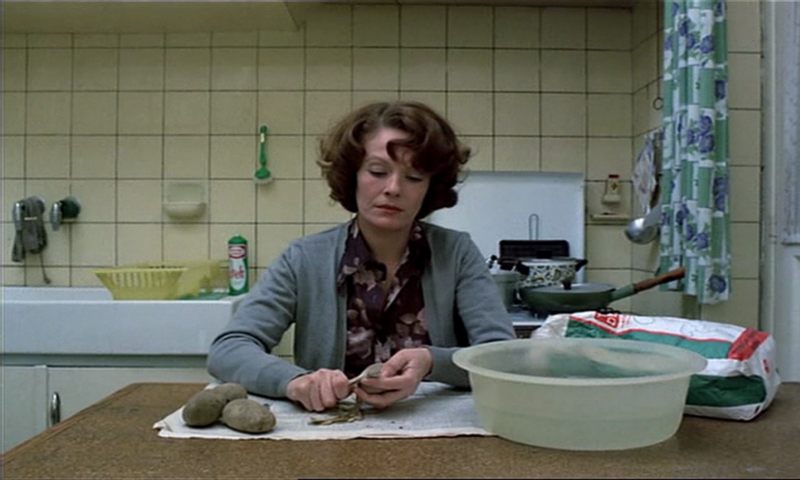 Particularly remarkable is Leyco’s play with absence in the film. It has a ghost-like, eery feeling. Is memory death? Is memory a ghost? It could be. Without being able to touch it, to see it in its real shape, memory is always there. The ending of the film is a powerful statement on this. You can’t find a better metaphor for it than the use of zombies. I could write lots more about this hugely interesting film. But as I try to refrain from saying too much about the content (I don’t want to spoil it for you), I should better stop and let Leyco do the talking in a few week’s time. Stay tuned! Next PostNext Is Lav Diaz is literati?